"Several adverse obstetric complications have been reported with untreated prenatal stress and depression, including pre-eclampsia, preterm delivery, low birth weight, miscarriage, small-for-gestational-age babies, low Apgar scores, and neonatal complications.7,8 In addition to being debilitating for the mother, postpartum depression affects maternal-infant interactions and some measures of infant development." 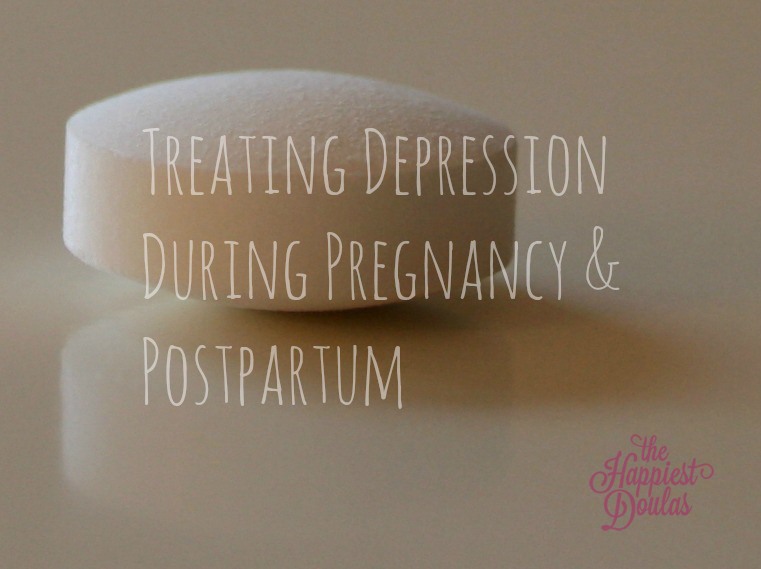 This is an excerpt from this article titled Treatment of Depression During Pregnancy and the Postpartum Period, published by the US Department of Health and Human Services. While there is a fine line between normal hormonal changes and clinical depression and anxiety, any symptomatic woman in the perinatal period should seek clinical evaluation and possibly treatment. Won't the Medications Cause Harm to Baby? It is a common concern for women with known depression to be wary of taking medication during pregnancy and/or breastfeeding. Quite frankly, for most pregnant women, there is some sense of fear with putting anything in their bodies. However, more and more is being published about the much GREATER risks of untreated depression in pregnant women. I spoke to an OB and a Pediatrician personally and asked their opinion on the subject. To paraphrase, each physician emphasized how grateful they are when women come forward with these concerns so that they can be appropriately taken care of. Both of the doctors reiterated the vast research on the damages that untreated chemical imbalances can cause the mother AND the child. There are many safe antidepressant medications for pregnancy and breastfeeding. There are Facebook support groups for women struggling with pregnancy and postpartum depression/anxiety with literally THOUSANDS of members. This is an epidemic that deserves more attention and less judgment. We are afraid to seek help for fear of looking weak or unfit as a parent. As a society, we need to remove the stigma of mood disorders and mental illness. A mother who feels out of control of her emotions or feelings should not feel ashamed or like a bad mother. She should feel empowered to do the right thing for herself and her baby, and seek the treatment that is best as decided by her provider and herself. "For most pregnant women, there is some sense of fear with putting anything in their bodies." - Click to tweet!